An Osun Magistrates’ Court sitting in Ile-Ife on Friday remanded one Olaleye Suyi, 21, for allegedly stabbing his friend, Oladele Kayode, in the face while asleep. 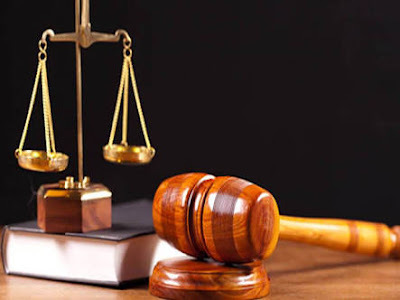 The Prosecutor, Insp Sunday Osanyintuyi, told the court that the accused committed the offence on May 15 at about 11.30 am at Line 3, Aladanla Street, Ile-Ife. Osanyintuyi said that the accused caused Kayode grievous harm by allegedly stabbing him with a knife in the face several times due to a misunderstanding. He said that the offence contravened Section 355 of the Criminal Code, Laws of Osun, 2002. The accused, however, pleaded not guilty to the one-count charge of causing grievous harm. The defence counsel, Mr Olalekan Babatunde, urged the court to grant his client bail in the most liberal terms. He promised that his client would not jump bail and would produce reliable sureties. The Magistrate, Olalekan Ijiyode, however, directed the defence counsel to present a formal application for bail. Ijiyode also ordered that the accused be remanded in Ile-Ife prison pending the hearing of the bail application. He adjourned the case till July 13 for hearing.